Virtual reality was once a colloquial term solely for gamers, whether young or old. But now it rolls off the tongue of advertising and marketing professionals from some of the most prestigious companies in the world as they start integrating this feature more and more into their campaigns. In anticipation of the surge of VR we’re going to see and experience in the near future, the International Advertising Bureau released a report last week that laid out all the logistics and stipulations of VR, including what VR can bring to the table, the potential flops that could occur if it’s used unintelligibly, and the heck-of-a-lot of money that companies are pouring into it to encourage a more immersive, emotional, storytelling engagement with their target audiences. For example, the IAB reported that the first half of 2016 alone saw $1.3 billion invested in VR, with more than $2.5 billion invested in mergers, acquisitions and funding amongst companies in the virtual reality/ augmented reality media space. 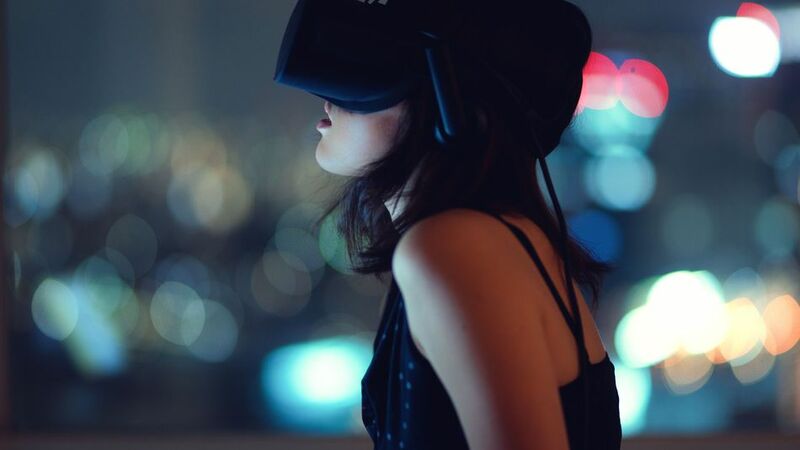 As far as revenue goes, Deloitte Global, a global management consultancy, predicts VR will take in its first $1 billion this year, with $300 million from content and $700 million from hardware sales, mostly within the gaming industry. A recent poll conducted by ClickZ says that 37% of consumers in the United States have now either used their own VR headset or have used someone else’s, which is close to double the same statistic of 19% in the United Kingdom. OK, we get it. VR is raking in a lot of cash, but what can it do for companies and their branding? Any fields where spatial relationships and 3-D environments are important in their lines of work can find VR to be an effective tool, such as in interior design, architecture and product design, to name a few. Carmakers can offer test drives, clothing lines can offer virtual fittings, real estate brokers can bring virtual walk-throughs of buildings to potential clients. Even internally, VR can allow for companies to connect with staff who work remotely as if they’re meeting in the same office space. And what are VR’s downfalls? The IAB still currently considers VR to be a niche marketplace for heavy gamers and there’s a possibility for it to remain that way. Another: VR headsets are expensive, with some costing over $1,000. The Google Cardboard on the other hand costs a mere $15. Experts are speculating as to whether VR experiences can become more competitive on smartphones versus PCs, but that depends on how much more powerful the hardware and software can be made, and on how fast of an internet connection they can acquire to accommodate VR experiences. Other threats to VR include not meeting consumers’ expectations of being “wowed” by VR, considering all the hype it’s received lately, and causing nausea for those who are prone to experiencing motion sickness. But the IAB says the latter appears to be less of an issue with higher performance systems. So how can VR overcome the faults? By focusing on making sure its technology is broadly distributed beyond the gaming community and that the pipeline for content is fast-flowing. And that doesn’t seem to be an issue, since enormous global companies such as McDonald’s, IKEA, Coca-Cola and the New York Times have already hopped onto the VR bandwagon. Digi-Capital, an investment bank, predicts augmented reality/ virtual reality cumulatively will hit $120 billion by 2020. This is really cool, but give me an example about how you think this can be applicable to a business in, say, automotive sales or repair. I give other examples of how VR can be applicable to a business in the fifth paragraph. Pretty much any business that uses spatial relationships in their line of work can benefit from VR. Hope this helps!